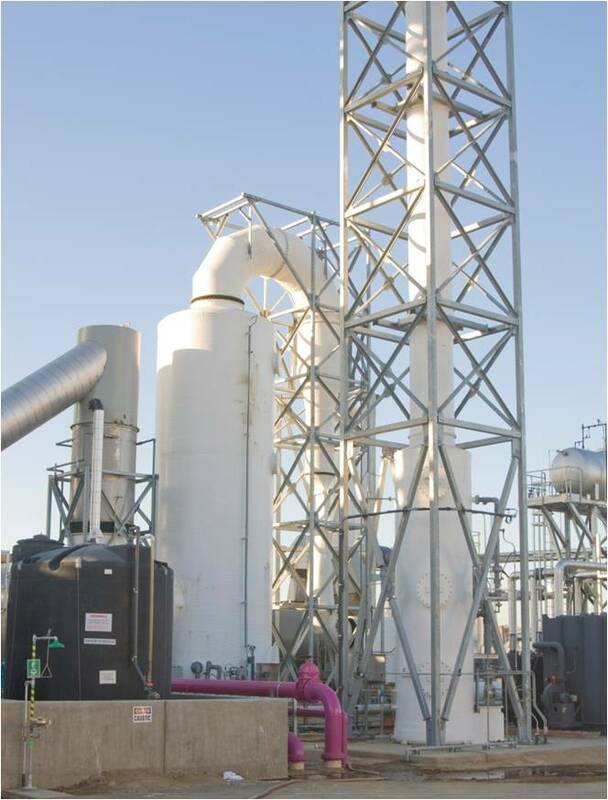 Click on the icon above to download a paper on an ammonia scrubber used in a sludge dryer wet scrubber system. Ammonia occurs as the by-product of a number of industrial and chemical processes. It can be highly corrosive to certain metals and other materials. The Envitech NH3 scrubber uses a packed bed absorber to remove ammonia from a gas stream. Dilute sulfuric acid is used as the scrubbing solution. 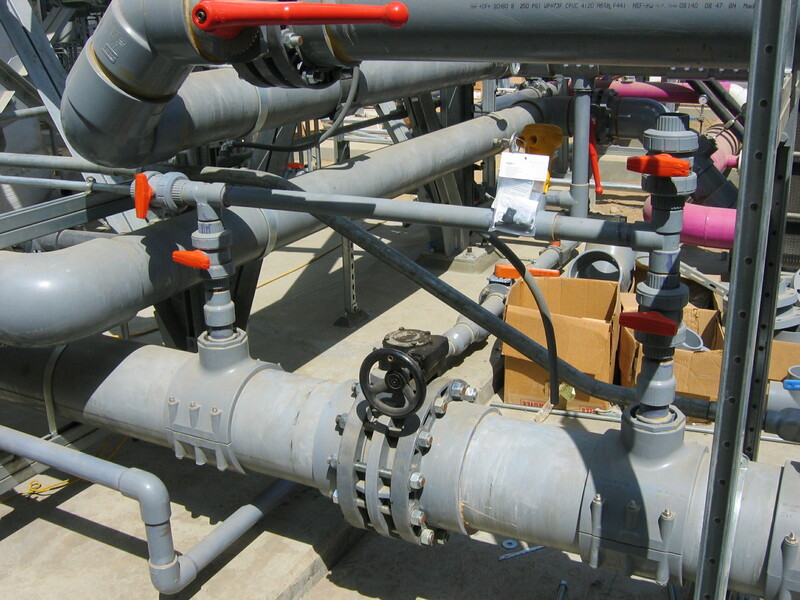 The absorbed ammonia collects as ammonium sulfate, and the spent scrubbing liquid is re-circulated through the system. A mist eliminator removes fine aerosols entrained in the gas stream, suppressing a visible plume. Removal efficiency up to 99.9% can be guaranteed for most cases.